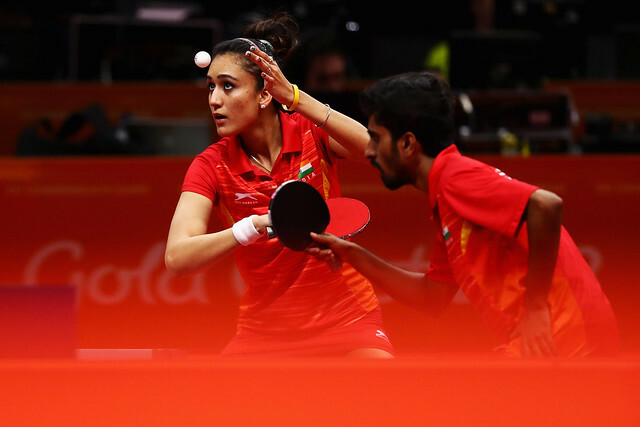 A total of five medals secured four years ago in Glasgow, notably all three steps of the podium reserved in the Mixed Doubles event, the English squad is announced forthcoming 2018 Commonwealth Games to be staged in Gold Coast, Australia from Wednesday 4th to Sunday 15th April. Paul Drinkhall, Liam Pitchford, Sam Walker and David McBeath form the Men’s Team; for the Women, it is Tin-Tin Ho, Kelly Sibley, Denise Payet and Maria Tsaptsinos. Kim Daybell, Ross Wilson and Felicity Pickard form the Para team. Notably in the Scottish city, it was runners up spot in the Men’s Team event but since those times, the English outfit has enjoyed notable success. Against all expectations they were bronze medallists at the Perfect 2016 World Team Championships in Kuala Lumpur. A positive approach from Paul Drinkhall, who with wife Joanna won the Mixed Doubles event in Glasgow; Sam Walker is event more positive. However, Sam Walker who responds on the big stage, is well aware that there will be tough competition in Gold Coast. Ready for the fray; for Paul Drinkhall and Sam Walker it is a special venture but nothing new, for David McBeath is a watershed moment. A first for David McBeath, a fourth for Paul Drinkhall; for the England Men’s Team, especially with the 2018 World Team Cup in London imminent, there appears to be a buoyancy in the air; that could be the crucial factor in Gold Coast.